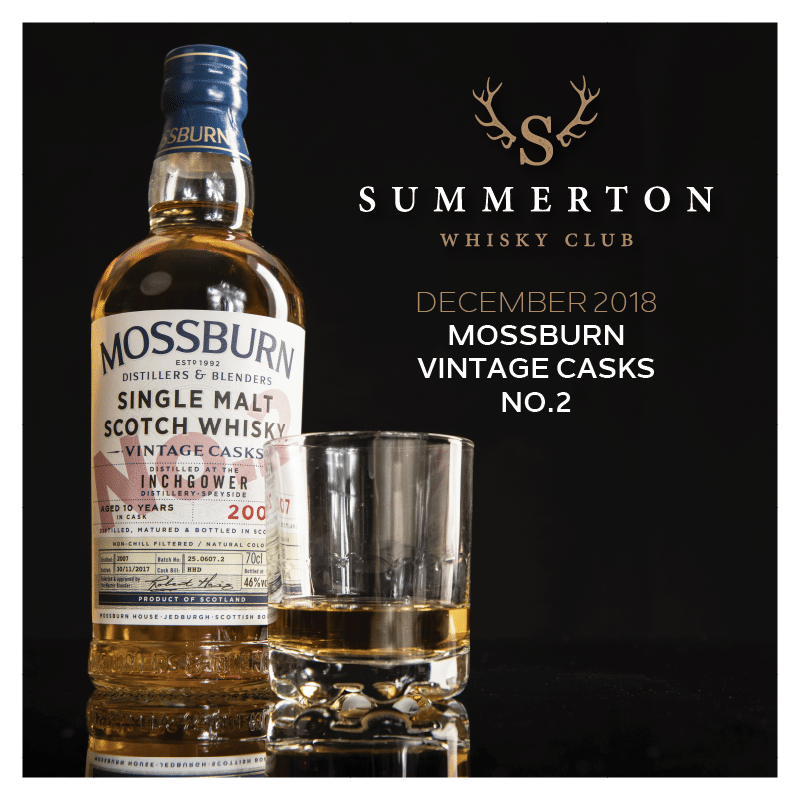 Mossburn Distillers & Blenders is an independent Scotch whisky-maker with over 25 years of whisky experience…while Mossburn is a relatively new name on the whisky scene, the core team have been blending and bottling whiskies and other spirits for nearly three decades. Distilling has been a recent addition after a painstaking 4-year project to restore and build Torabhaig, which has been a fully operational Single Malt Scotch Whisky distillery since January 2017, the second ever on the Isle of Skye. 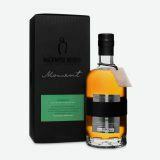 As part of establishing themselves on the whisky map, Mossburn have also recently launched an Independent Bottler range. The Mossburn Vintage Casks are a collection of Single Malt Scotch Whiskies each issuing from a strictly limited and select batch of casks, meaning that each numbered release can only ever yield a finite number of bottles. While the particular character of each of these Single Malts can never replicated, it also offers an opportunity to sample what Mossburn believe to be exceptional and noteworthy examples of the whisky made by some of Scotland’s most distinguished distilleries. For this range Mossburn have sought out Single Malts of interest from distilleries not owned or run by themselves. They are the issue of specific vintages, with full traceability of the distillation and cask ageing that they have undergone. The master blender has specially selected these barrels from their ageing warehouses as worthy of a special Mossburn Distillers & Blenders bottling. 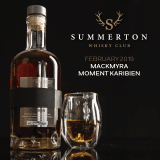 Each batch exhibited the classic hallmarks of balance, depth and complexity that only the best Single Malts can deliver. This particular bottling is the second release in this series. Located very close to the mouth of the River Spey on the northern coastline of Moray, the Inchgower Distillery produces quite heavy, spicy malt with a distinct coastal salinity. The flavour has developed further in casks to give some oaky structure but the refill hogsheads have allowed the natural spice, candied orange and cloves on the nose to come through. Further flavours develop on the palette with notes of nuttiness, allspice and pepper. 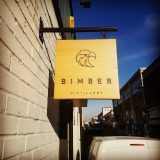 Being a strictly limited batch release – once it’s gone it’s gone. Following on from sharing Mackmyra’s Gruvguld Swedish Single Malt Whisky as our October Bottle of the Month, we’ve included a taster of another limited-edition bottling from this fantastic distillery. Moment Efva is an elegant single malt whisky produced from a creative collaboration with jewellery designer, Efva Attling. Following a tour at Mackmyra’s main storage in Bodås, Efva has (together with Master Blender, Angela D’Orazio) handpicked nineteen of Mackmyra’s finest casks. The nineteen that caught Efva’s attention were mainly Oloroso, American oak and ex-Bourbon barrels, the majority of which had been saturated with Swedish birch tree sap wine.